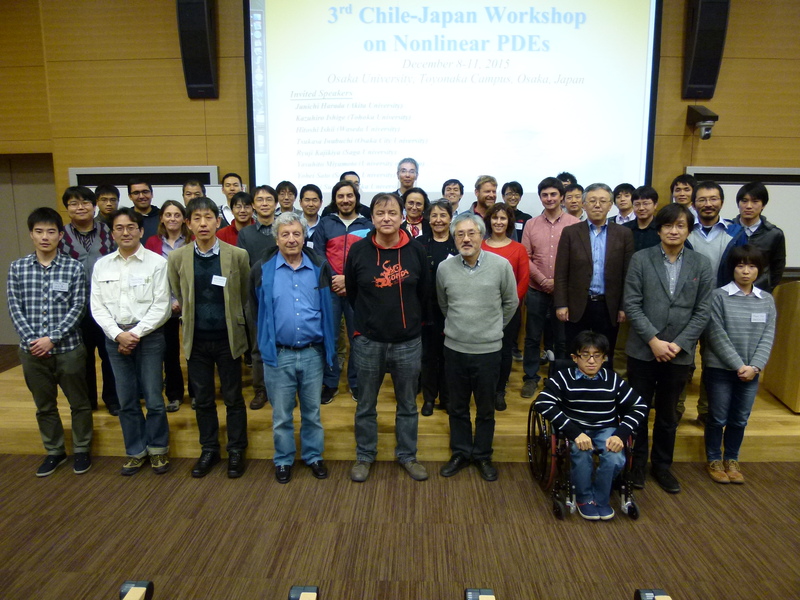 The third workshop Chile-Japon on Nonlinear PDEs, which was partly supported by CAPDE along with Japan funding, took place in Osaka University from 8 to 11 December 2015. On the occasion of the Congress of the Future, an space for exchange of ideas between Chileans and world class thought leaders, Millennium Science Initiative organizes two activities, which are free and open to the public, in Valparaíso (Chile). “Nice Concepts- a poetic walk through mathematics” , the educational video supported by Capde and produced by the Department of Mathematical Engineering of Universidad de Chile, is already available on youtube. CAPDE joins this 3D project organized by Iniciativa Científico Milenio (ICM), which consists on representing images through three dimensional technology. It will be soon available on website and applied for outreach activities.